29 November 2018 – On Tuesday 27 November, Thai authorities in Bangkok’s Suvarnabhumi Airport (BKK) detained Hakeem Ali Mohamed Ali AlAraibi, a Bahrain-born man residing in Australia under refugee status. His detention stems from an INTERPOL Red Notice against him, issued upon request of Bahrain on the basis of a 2014 criminal conviction. He has been informed that he would be returned to Bahrain once Thai Immigration authorities could provide assistance. 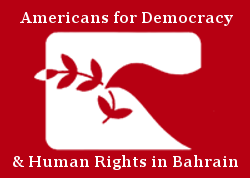 Americans for Democracy & Human Rights in Bahrain (ADHRB), the Bahrain Institute for Rights and Democracy (BIRD), and the European Centre for Democracy and Human Rights (ECDHR) are deeply concerned that AlAraibi will be deported back to Bahrain, where he is at risk of torture and abuse. To ensure this is not the case, we strongly urge the Thai government to release AlAraibi and we call upon the Australian authorities to intervene on his behalf to prevent his deportation. His current detention under INTERPOL’s Red Notice system is inconsistent with the INTERPOL Executive Committee’s formal policy with respect to refugees. The policy states that Red Notices will not be issued “if the status of refugee or asylum-seeking has been confirmed.” Further, the maintenance of a Red Notice against AlAraibi is likely in violation of INTERPOL’s own regulations. INTERPOL states in its Constitution that the organization will operate “in the spirit of the Universal Declaration of Human Rights.” The UDHR provides for the right to life, liberty and security of person, the prohibition of torture, the prohibition of arbitrary arrest, detention, or exile, the right to a fair trial, the right to a presumption of innocence, and the right to freedom of movement, among others. In this light, not only are INTERPOL’s regulations violated, but the Bahraini government’s conviction of AlAraibi is in violation of the basic principles of human rights.